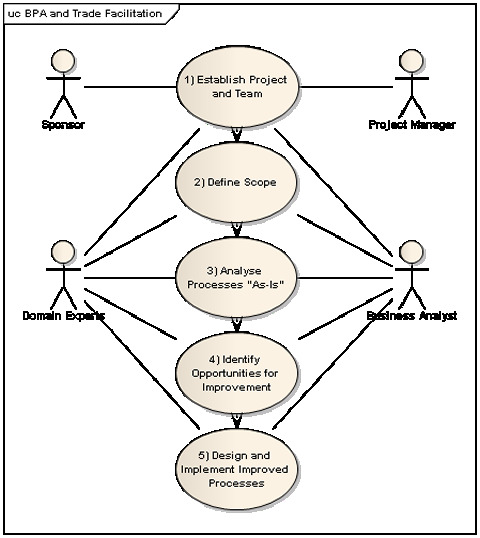 Business Process Analysis should be conducted in a structured approach of analysis that provides answers to the questions below. Each consecutive stage of a BPA provides answers to these questions. The UNNext Guide on BPA provides a detailed description of each of these steps and the Cambodia cCase studystory summaries the Cambodian experience using BPA for the analysis of to evaluate procedures, times and related costs associated with the export and import of products of strategic importance.